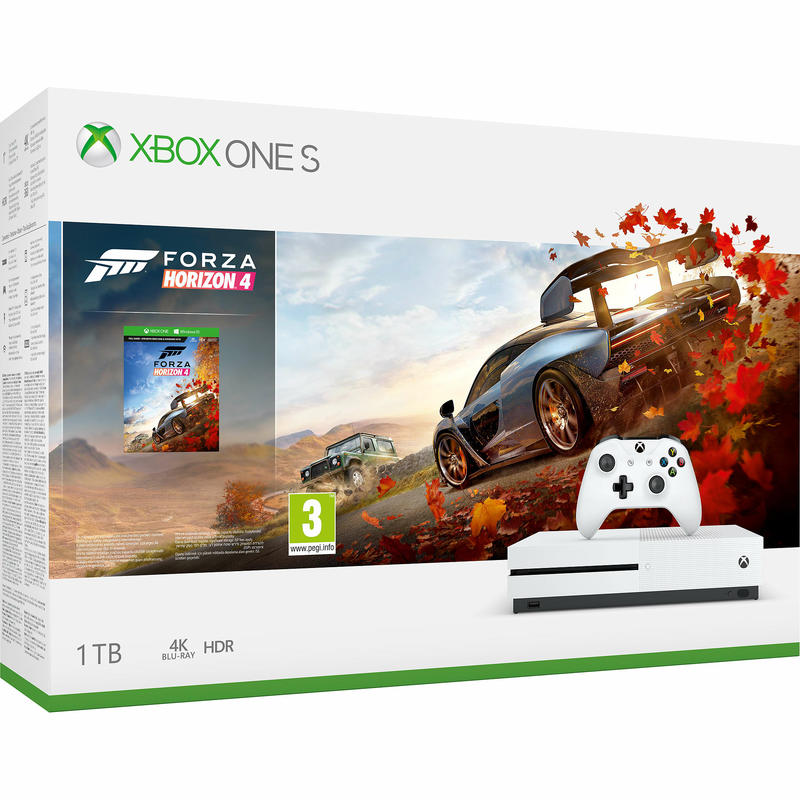 Buy the Xbox One S Forza Horizon 4 Bundle and experience a shared open world where dynamic seasons change everything. Explore beautiful British scenery and collect over 450 cars—including over 100 licensed manufacturers. Join team multiplayer for casual fun or ranked teams to take on the best in the world. Xbox One has over 1,300 great games including today’s blockbusters, 200 console exclusives, and 400 classics. Whether you’re racing and stunting, watching 4K movies, or streaming gameplay, there’s never been a better time to game with Xbox One. Experience dynamic seasons in a shared open-world. Whether you’re racing and stunting, watching 4K movies, or streaming gameplay, there’s never been a better time to game with Xbox One.